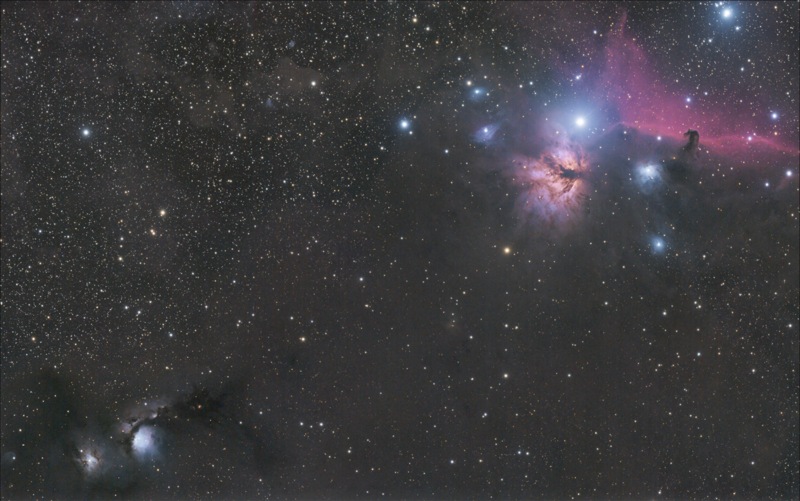 Messier 78 in the bottom left corner is a reflection nebula. In the top right is the iconic Horse Head (dark nebula) and the flame nebula below the Horse Head. 55 exposures of 180s ISO 1600 stacked with calibration frames. Canon 6D and 550mm F/5.5 flat-field APO refractor (Espirit 100 ED). Mount was an IEQ45 Pro.